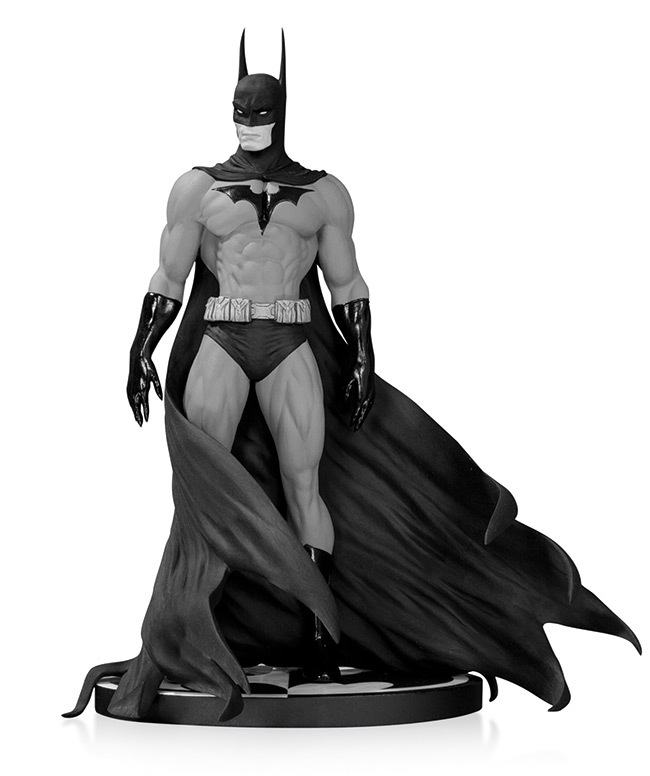 May 2014 - DC Collectibles - There are five Batman statues in this post, so scroll down all the way! 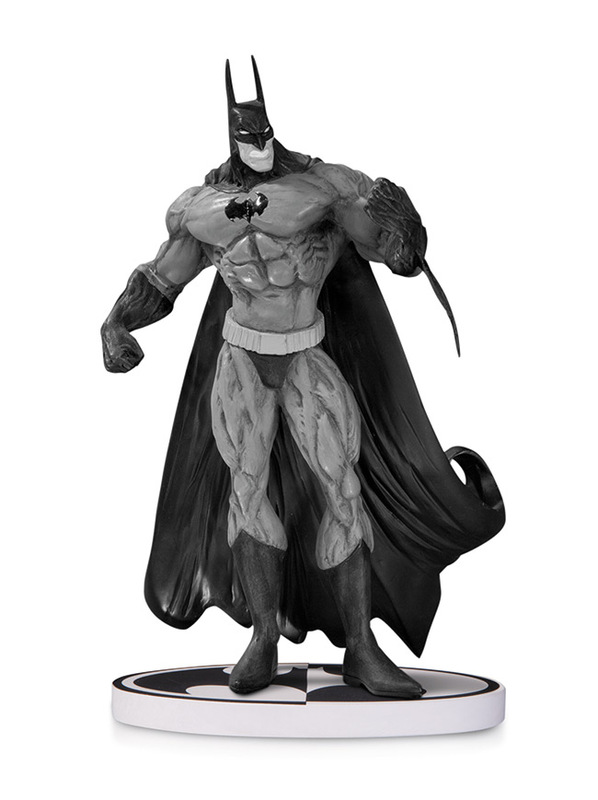 This new entry in the Batman: Black and White statue series is a tribute to artist Michael Turner, whose highly detailed, dynamic drawing style graced numerous DC Comics covers. 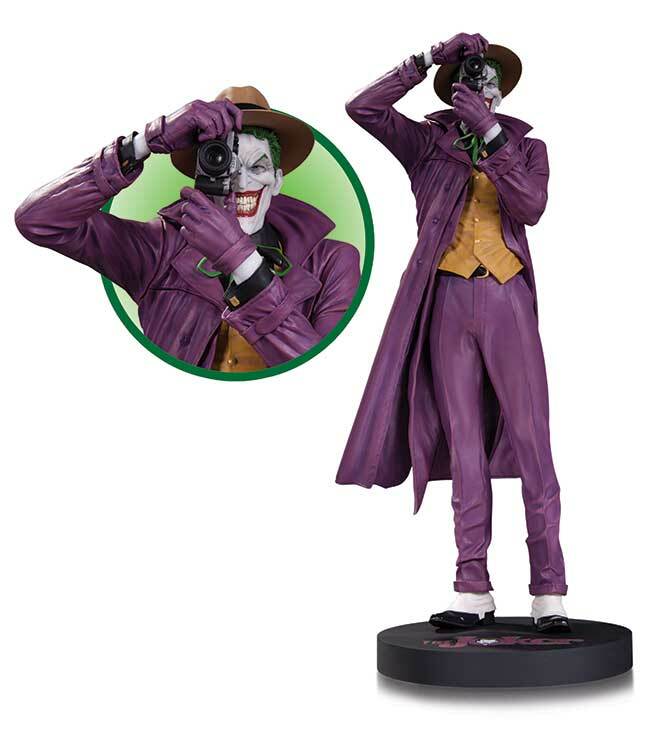 The Dark Knight's greatest foe, the Clown Prince of Crime, is captured in this miniature version of the fan-favorite statue based on the designs of comics legend Brian Bolland which features a faux-bronzed patina finish. 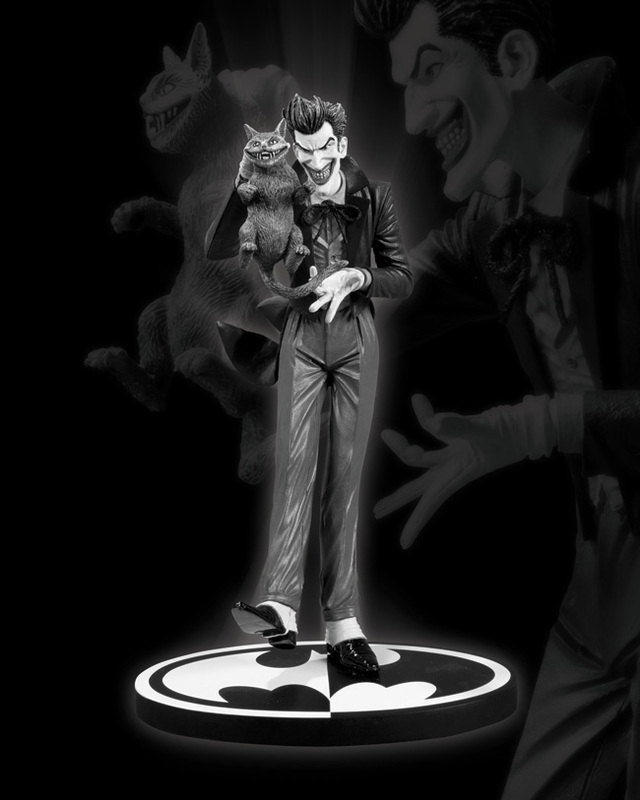 From Brian Bolland, the artist behind the definitive Joker tale BATMAN: THE KILLILNG JOKE, comes the latest entry in the acclaimed "Batman: Black and White" series. 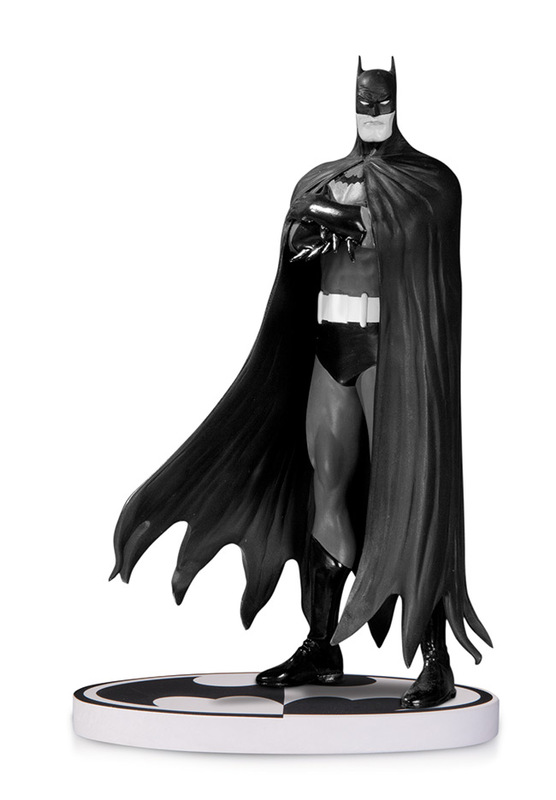 Using the monochromatic tones synonymous with the line, this statue is a much-anticipated tribute to the Clown Prince of Crime. 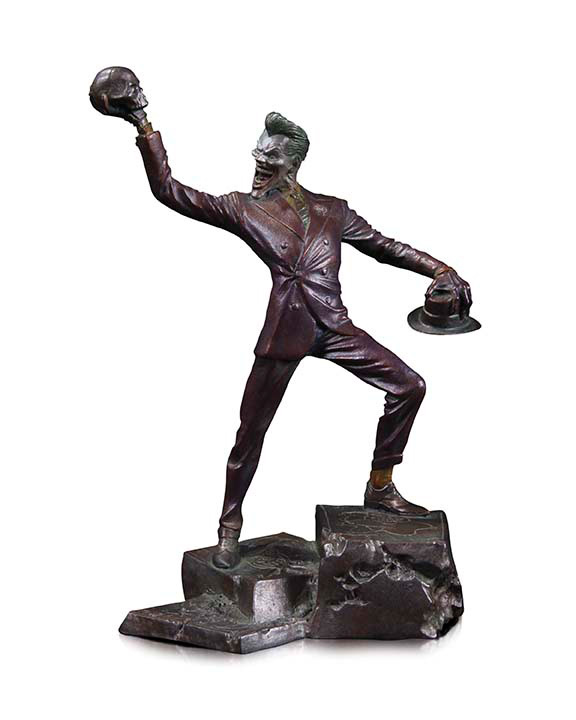 Statue measures 9" high x 4.75" wide x 6.25" deep.